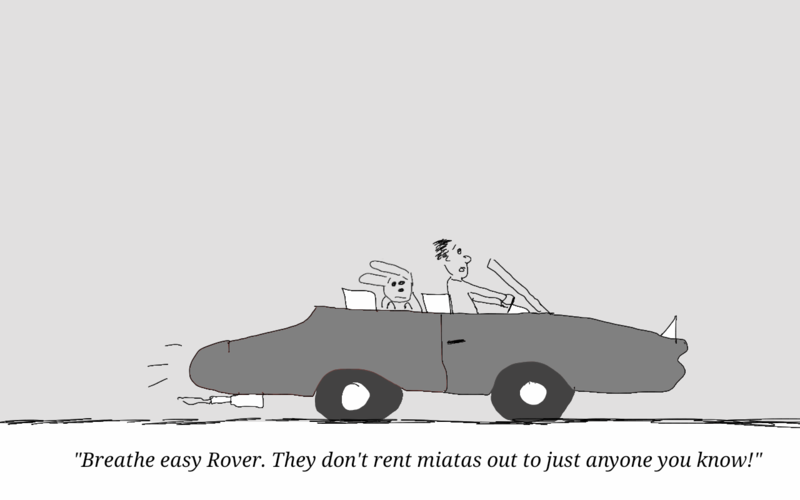 This entry was posted in cartoons and tagged cars, cartoon, comic, dogs, humor, miata. Bookmark the permalink. Haha Rover’s expression is great! !